AdBest Movers in the Country! Recently moved with the help of Best Cross Country Movers. They were fast and punctual. Took care of my stuff like it was their own. I can't thank them enough. This company is above and beyond professional and capable. I forgot to submit paperwork and they still kept my appointment, when I called panicked they were so kind in assuring me things are fine. 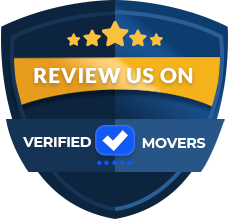 With Best Cross Country Movers, we had successfully completed our move and I highly recommend them. Clean, professionalism, efficient, fast, on time movers....5 stars service, super recommend for everybody! great job guys! Will definitely use them again. We've used Best Cross Country Movers for three full moves and a number of small item moves. They're reliable, safe, courteous and honest. We recommend them to anyone we know that needs moving services. I called Best Cross Country Movers and spoke to Beccka. She was friendly, upbeat and very knowledgeable. She went over all of the items I wanted to move and explained the breakdown of charges as well as what would be included in the cost. I called back a few days later after speaking with my husband and we booked the move. The guys that arrived at pickup were funny, we had a good time to say the least. They explained when to expect updates as well as a rough estimate on the delivery date. I was contacted a few days later and given the driver's name and contact information. They arrived earlier than anticipated and quickly unloaded all of our items. We did not have any issues with broken or missing items and I am very happy about that. We will be using this company if we ever need to move again. The movers who arrived were efficient, fast but careful, friendly....everything you can hope for. I would use them again without a doubt and I have moved 6 times in past 10 years. Big thumbs up to theses guys. I recently used this company after the original moving company bailed on me last minute. These guys were amazing! They provided quick and efficient service at a great price! They were able to accommodate my pickup date with a very short notice as well as packing a few items for me. The crew was friendly and worked hard to get everything done in a timely manner. I was provided their customer service number to contact with any questions or concerns as well as updates on the transit. The customer service was very helpful and always willing to answer my questions. My items arrived during the delivery window I was quoted and I did not have a single thing show up broken. I am actually glad the other company didn't work out and I found Best Cross Country. Thanks again for all of your hard work! These guys are awesome, friendly and worked with us to fit our specific schedule and needs. It was really comforting that the first people we come into contact with were super friendly and got the job done quick. I'll definitely be reaching out to them again in the future. They moved all my items with no damages. I even had an old washer and dryer that I assumed worked but didn't. The men did me a huge favor and took it off my hands. I would highly recommend them to anyone Looking for a reasonable and efficient moving company. I will be using them in the future if there is a need. I called Best Cross Country Movers last month and set up my move to California. I spoke to Becca and she was professional and quickly answered all of my questions and concerns. She provided a quote and explained the way the price was calculated. We went over everything that needed to be packed and the different options they have for storage. I received a call a few days prior to pickup to confirm the day and time the driver and his crew would arrive. The driver actually called me himself when they were about an hour away from my home. They arrived during the original time frame I was expecting. They introduced themselves and began working right away! The crew worked quickly and well together. They provided me copes of everything I signed and explained their route as well as giving me a window for delivery. I was contacted a few days after pickup and was given a 2 day window for delivery. The driver again followed up to provide the day and time frame he was expecting to arrive at my delivery location. They unloaded everything and put the boxes in the corresponding rooms as well as reassembling my larger items. I am very happy with the entire experience with this company. Moving is never a fun task but these guys really made everything a lot less stressful and I would use them again in a heartbeat! Recently used Best Cross Country Movers for our move to Dallas Texas. It is the first move for me out of state in the last twenty years. It was a family relocation, which makes matters a little more stressful. They got the job done and got it done right. Thankfully! We did not have many bumps in the road. Getting in touch with the driver was a little difficult on the date of pick up. He did not have good service in our area (not many do..). However, we were able to get in touch with customer service to continue to get updates. This worked out really well for us. The whole thing went better than I expected. It was not a nightmare, just stressful. Best Cross Country Movers did a honest and great job with our move. I hate moving and I have had to do it 3 times in the past year. The first two times went terrible. I had a colleague recommend Best Cross Country Movers to help me move from Tallahassee to the Chicago area. I have to move a lot for work, they cover the costs for me. Though, it is my duty to find a company that I can trust and does not cost an arm and a leg. Roberta was very helpful during my set up process. I had already had an inventory list from my previous move, so it was a breezy process. The whole move, from pick up to the delivery of my items, took about two weeks time. Would recommend. Would use again. They did an excellent job, worked hard and fast...very careful with all of my furniture. Wrapped all wood furniture with a blanket then covered it in plastic wrap. It took approximately 2 hrs 45 min to move a one bedroom apt to another one bedroom apt located within a mile away. This company is well worth the price! My husband and I had a very great experience with Best Cross Country Movers. The men that came to our home, there were two of them set up by BCC, were able to get the whole house packed and moved in less than 5 hours. We resided in a three bedroom home and do not have a whole lot of things. However, they were very quick and efficient. It was the only time that we had an interaction with them, we had a different crew deliver us. They were equally as qualified, but we did not get to know them as well. Both of us would highly recommend!! These guys were very careful with our belongings, even when we weren't around and hovering over them. They also were very polite and respectful when asked to move things to another room. And wow, were they hard workers! They gave special attention to all items, wrapping them in blankets and/or taping them up for special attention. Usually in any move...there's some small damage to furniture, but these guys didn't even chip anything. Definitely recommend this company. from the initial process right up until the after move follow-up. Great moving company! We worked with Best Cross Country Movers, They arrived early, and helped me resolve a number of issues needed taken care of before closing on the house. He was thrilled with the level of service and reasonable pricing. We highly recommend them!! I was moving a lot in the past with different moving companies, but only Best cross country movers impressed me with the way they handled my move. 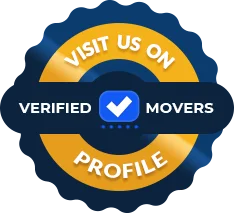 I’ve experienced different mishaps with the movers before and it was clear to me that I needed to perform a detailed background check on each moving company I was interested in. To start with, I was very happy with the quote they provided. I’m happy that I ended up with a quality, but affordable moving company that was able to meet all my expectations. They were paying attention to every single detail. After this amazing experience I will be referring everyone I know to this company. I move frequently for work, 4 times in the last 6 years. 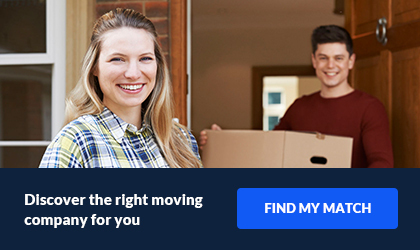 I have used a new moving company each time mostly because I have never had that great of a move that I really wanted to use the same mover twice. I’ve been through it all; lost items, damaged furniture, movers that don’t show up or deliver on time. That said my expectations were low for my most recent move from Dallas to L.A. When I spoke with my Sales Consultant , Andrew, I was refreshingly surprised that he was super professional, knowledgeable and actually addressed and helped me solve some of the problems I had experienced in the past without me even mentioning that I had had problems with other moves. Andrew suggested that I add additional cubic footage to my quote just to insure I didn’t have any surprise charges on the day of my move. That was really important to me because I didn’t want to go over my allotted moving stipend. As my move approached I called him again to adjust my quote because I realized I had acquired more appliances since I last moved. He was quick to respond with an updated quote. On the day of my move the crew arrived on time. Dominic and his crew were kind and professional . They disassembled and packed up a few of my remaining large items and got everything loaded up quickly. Ten days later all of my boxes and furniture arrived in L.A and the crew arrived within the window of time and moved everything in and assembled my large items. A few of my boxes were squished but overall my things looked like they were packed well and made it without incident. As someone with a less than stellar moving history , I was relieved and grateful that this move went smoothly. I felt like Andrewhelped be avoid a lot of the pit falls . Ill defiantly be calling Andrew again for my next move ! Thanks ! Best Cross Country Movers began in Tampa, Florida. The owners had over thirty years of experience in the industry. They know just how to set up a seamless move and also execute it properly. All employees of Best Cross Country go though strenuous training to ensure that they have all of the necessary knowledge about this industry The owner began this company knowing they wanted to be different from others in the industry. They truly set themselves apart and you will be able to hear it the first time to speak to them. Best Cross Country goes above and beyond to make sure that each customer is happy. They go out of their way to listen to every need and also make sure that they can accommodate. If you are looking to move your family or your business, you are in the right place! Moving can be very stressful, that is why Best Cross Country can help. They want to make it as easy and challenge-free as possible for you. Additionally, if you are looking to be completely free of stress, you should consider packing services. All-inclusive packing can alleviate stress completely. The movers will arrive and do all of the hard work for you! This will ensure maximum protection for all of your belongings. The movers are professionals, they know just how to secure everything for the big move! It is recommended that if you are a first time mover, you should strongly consider this! Perhaps you cannot receive your valuable quite yet. Regardless if you are moving your office or home, Best Cross Country Movers can provide storage services. These services are available for both short-term and long-term. Be sure to speak to your representative about this. They will be able to best assist you to help you decide which option would be best for you! The main purpose of this company is provide each and every customer with the best moving experience. Lots of planning and organization goes into the process. Best Cross County knows that each move is different. This is why they go over your needs and expectations in detail. There is no challenge too far out for this company to accomplish. The only thing you need to do is place the first call! Your assigned representative will take it from there!